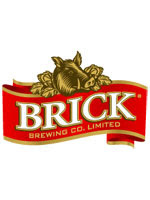 Brick Brewing Co. Limited ("Brick" or the "Company") (TSX: BRB), Ontario's largest Canadian-owned and Canadian-based publicly held brewery, today released its financial results for the first quarter ended May 1, 2011. Annual meeting details are included in this press release to assist shareholders that may be affected by the rolling postal strike. "Our beer portfolio continued to be very strong in Q1 after a tremendous finish to fiscal 2011. The Laker trademark, which is our largest brand family, is positioned as the best beer value in Ontario and grew 25.8% year over year," said George Croft, President and CEO. "The Seagram Coolers acquisition was significant for Brick, and solidifies our foundation for future growth," said Croft. "Our team is hard at work with changes that celebrate the rich tradition of, and potential for the Seagram trademark." compared to $7.0 million in the first quarter of fiscal 2011.
costs are expected to provide ongoing benefits to the company. net loss of $0.1 million.